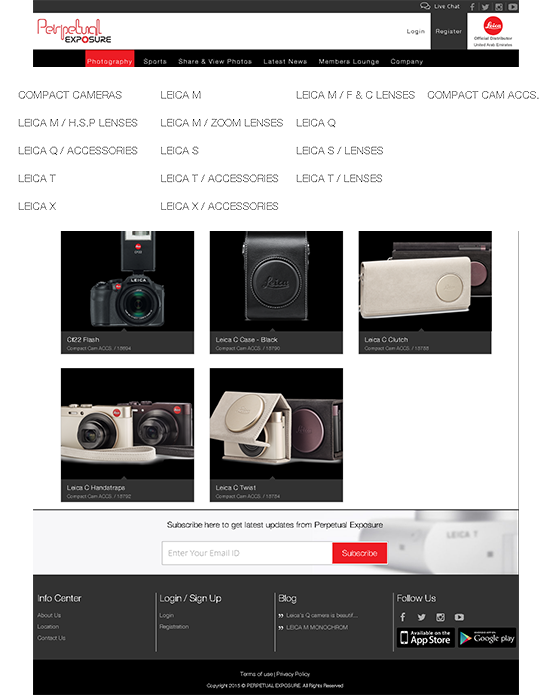 Leica UAE Website and App for Cameras, Sport Optics and Leica Lenses Users in UAE. 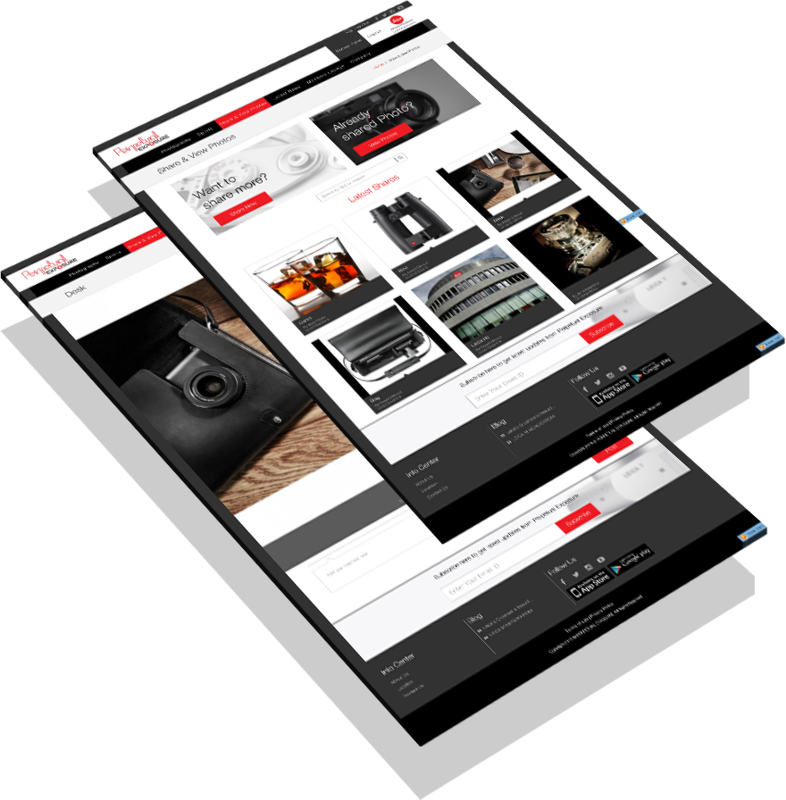 Our client wanted to develop iOS and Android apps and corporate website to promote latest LEICA Cameras and Sport Optics to the Middle East region. 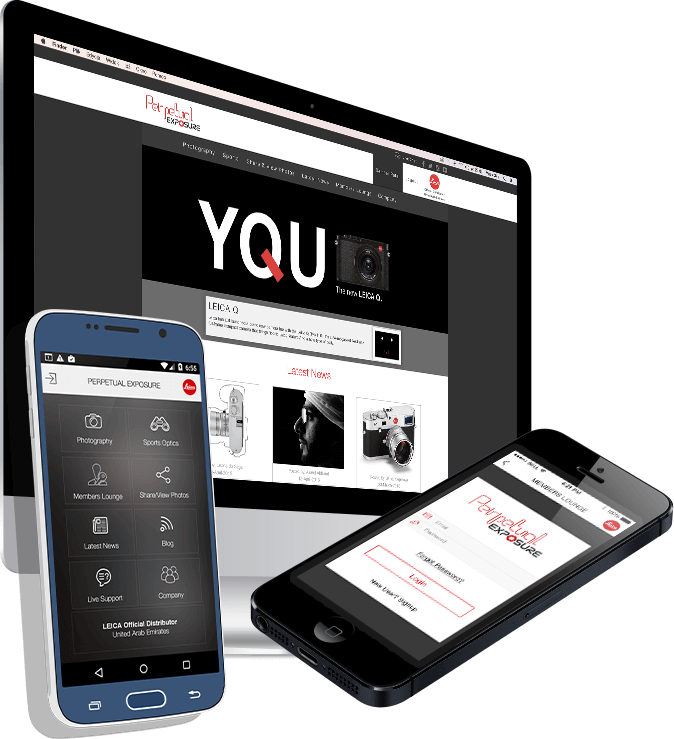 This system will provide end users the option to register products; share and view photos; live chat support. Admin Panel to manage products; users; shared photos. 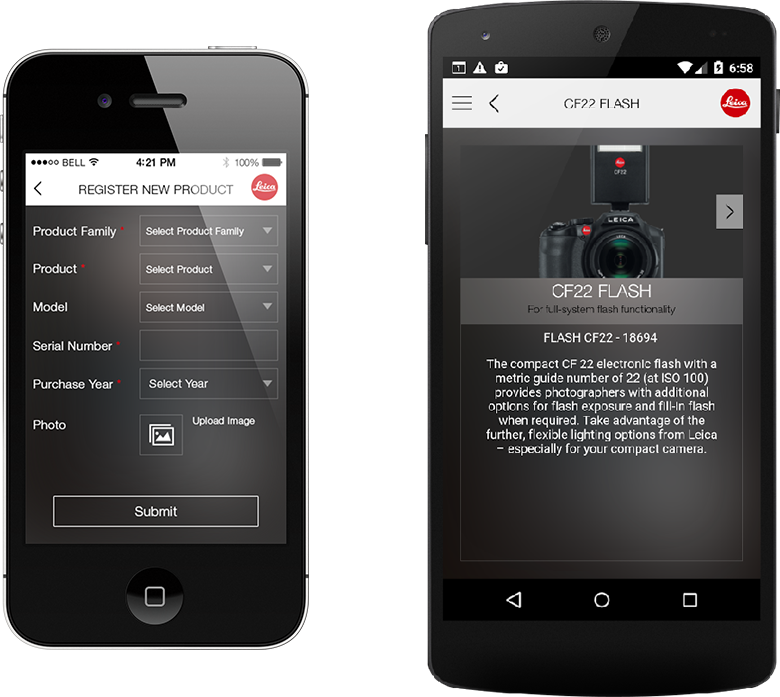 Android and iOS applications were designed for members to interact with products and discover exclusive content. Members can blog, as well as browse through news and updates within app. Website and the mobile applications allow a registered customer who is logged in to the application to contact the Administrator. History of the Chat (if any) will be displayed in the chat window. 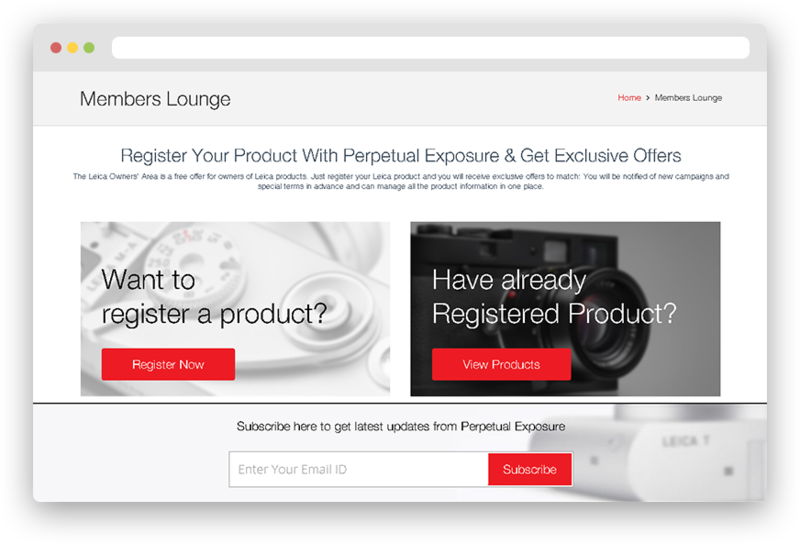 Members can register products to receive promotional messages and exclusive offers as SMS notifications. SMS will contain a promotional page URL customized for a particular customer. Key is to provide contextual information which takes personalization to a new level. 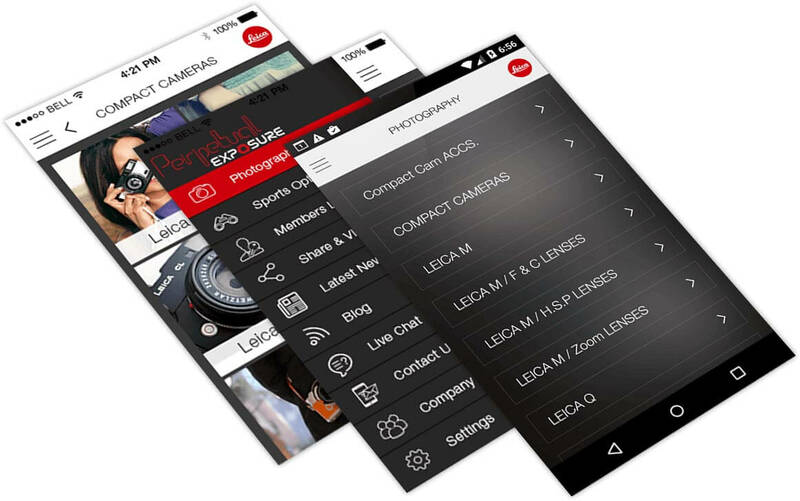 Do you want to build Camera and Lences App? Let's discuss! !